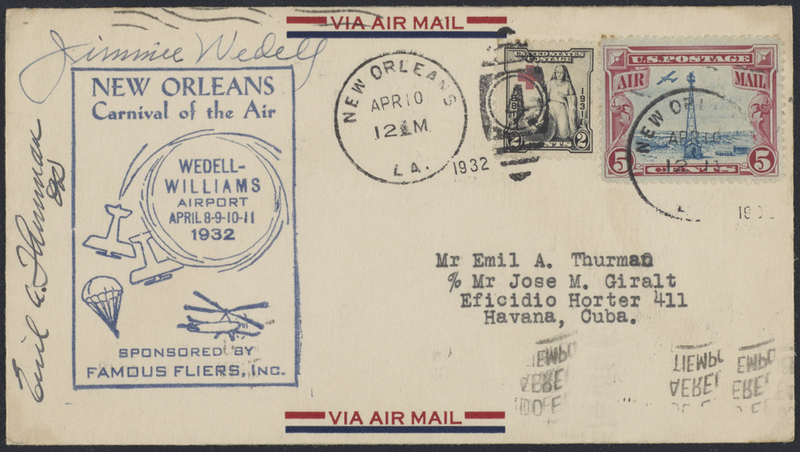 Honoring the New Orleans Carnival of the Air, an air show held at the Wedell-Williams Airport, April 8-11, 1932. 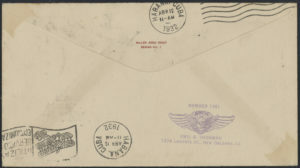 The airport was located four miles west of the center of New Orleans in what is now Elmwood. There was also a second Wedell-Williams Airport in Patterson, Louisiana, which still exists. 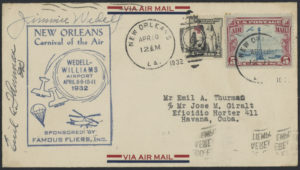 This envelope is autographed by Jimmie Wedell, founder of Wedell-Williams Aviation and the era’s most successful designer of racing planes. 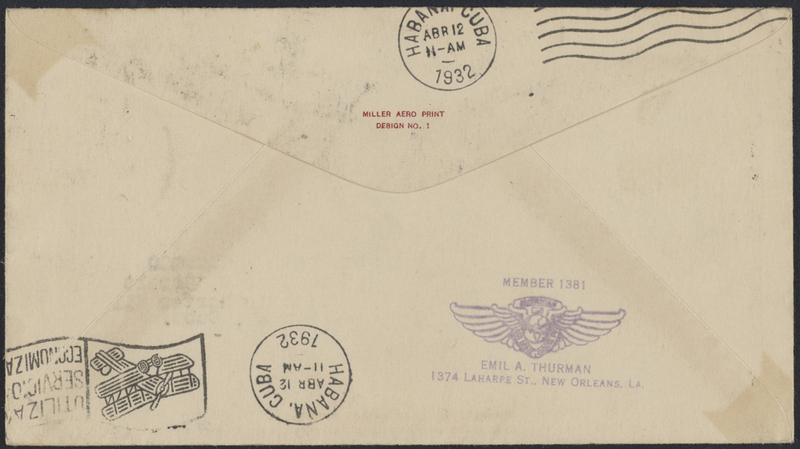 It is also autographed by Emil A. Thurman, a noted stamp collector.